Grandmothers get the good press. They also get to go into the delivery room, an honor declined by Michael Milligan, who chose to spend his last pre-grandfatherhood hours "pacing and perspiring." But scores of grandparents will be glad that Milligan became a grandfather, even in absentia. Otherwise we'd be forced to come up with our own grandfather jokes, and Milligan, a veteran comedy writer, does it so much better. 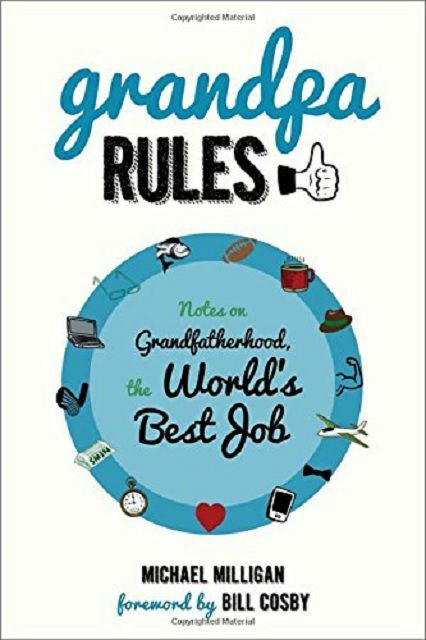 For those who are interested in equal access, Milligan's wife Jill has written Grandma Rules: Notes on Grandmotherhood, the World's Best Job. Upon learning that he was about to become a grandpa, Milligan went through the period of adjustment common to most grandparents. He had planned to stay young forever! 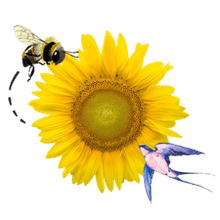 He spent a sleepless night thinking of his own grandfather, "a loveable old man who wore a little hat with a feather and plaid Bermuda shorts with calf-high dark socks." Was this his future? Then he had to adjust to the changes in his wife, a cell phone-hater who suddenly started wearing a beeper. He wondered if his child would be like other modern parents, who seemed to "name their children after too many Jägermeisters." Then there was the matter of his grandfather name to consider, adjusting finally to the fact that his name would be chosen by "a creature whose greatest achievement has been sleeping through the night without pooping." Milligan's fears are proven sound when he ends up with Buh-Buh, a name that might resonate with the NASCAR crowd but which was distinctly not what he had had in mind. Finding out that, as much as grandparents love to babysit, the experience is going to leave you and your wife feeling like Wile E. Coyote after an encounter with the Road Runner -- flattened, in other words. Other topics include Ambien -- you won't need it -- and card games -- the primary rule is that the grandchildren always win. Considering that the subtitle of Milligan's book calls grandfatherhood "the world's greatest job," sooner or later Milligan has to turn his attention to the perks of the position. For one, a grandpa can tell his grandchildren the most unbelievable stretchers, and they'll believe him. For another, a grandpa may just be able to get away with wearing comfort clothing, as long as he eschews a fanny pack. In summary, the best thing about Milligan's book is that its humor is firmly rooted in reality. When he talks about trying to steal a few extra minutes of sleep when the grandchildren sleep over, most grandparents can relate. When he lists his fifth commandment of grandparenthood, "Thou shalt know when to zip thy lip," grandparents everywhere nod in agreement. And he doesn't restrict himself strictly to topics dealing with grandchildren. For example, in the chapter titled "Not Tonight, Grandpa," he deals with the rewards and hazards of the little blue pill that grandfathers may take. The overall result is a book that Grandpas will eat up like ice cream, even if the name their grandchildren chose for them is a long way from Grandpa. Like Buh-Buh.